Crown Prince Muhammad Ali of Egypt and Princess Noal Zaher, granddaughter of King Zaher Shah of Afghanistan, are preparing for their impending royal wedding. The couple, who announced their engagement on 27 April 2013, are set to tie the knot on 30th August at the Palace of Çirağan on the European shores of the Istanbul Strait in Turkey. The Egyptian Crown Prince was born in Cairo in 1979 and is the eldest son of King Fuad II of Egypt, giving him the title of Prince of Sa'id. Today Prince Muhammad resides in Paris where he works in real estate and met his princess during a holiday in Istanbul. Princess Noal Zaher was born in 1980 in the Italian capital of Rome, where her family took refuge after a coup d'état proclaimed a republic in Afghanistan in 1973, which destabilised the country up to this day. Her father is Prince Mohammed Daoud Khan Pachtounyar, the fifth son of King of Afghanistan Zahir Shah and Queen Homeira. Princess Noal Zaher graduated from the famous French university Institut Saint-Dominique with a degree in European Business before specialising in jewellery design at Webster University in London. 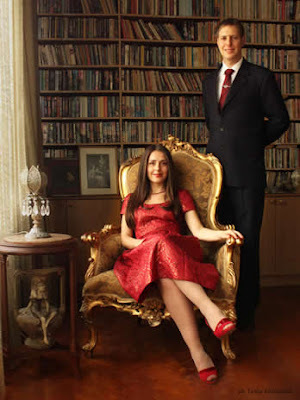 Crown Prince Leka II of the Albanians and his fiancée, Ms Elia Zaharia, announed on his website, that they will attend the wedding the Egyptian Crown Prince's wedding. The dynasty of Mehmet-Ali who ruled Egypt for over a century is considered to have Albanian roots. 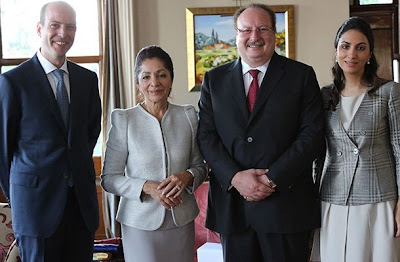 The website claims, that "the presence of the head of the Albanian Royal Family shall celebrate the very closed friendship between the two royal families, especially during King Zog I and Queen Geraldine’s exile. The royal couple, Crown Prince Leka and the whole royal household were generously hosted by HM King Farouk I in his beloved country from 1946 until to the fall of the egyptian monarchy." HM Queen Farida, King Farouk I’s first spouse and HRH Princess Fadia of Egypt attended King Leka I and Australian-born Queen Susan’s wedding in Madrid in October 1975. King Fouad I and King Farouk I, respectively great grandfather and grandfather of HRH Prince Muhammad-Ali, were both holders of the highest ranks of the royal Albanian orders, the Grand Collar of Honour of Albania and the grand-sash with star of the Bessa Order as well.